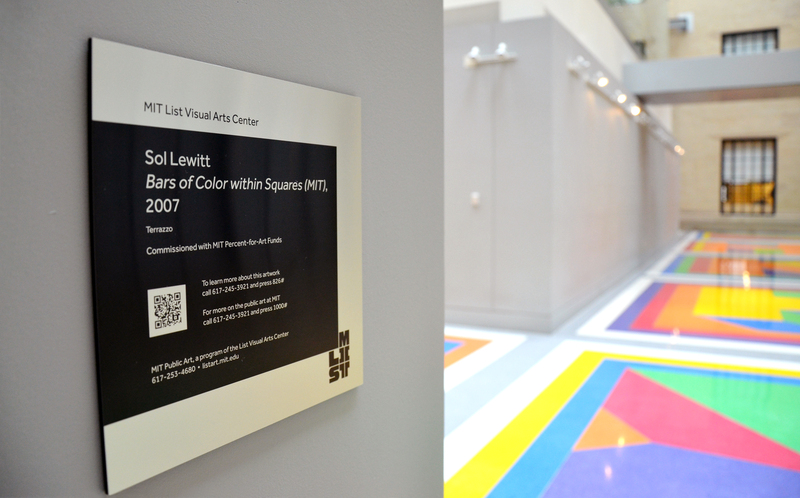 TOKY has been developing a comprehensive new brand identity for MIT’s List Visual Arts Center in Cambridge, Mass. The new brand identity draws inspiration from I.M. Pei’s design for the building and Kenneth Noland’s epic scale public art in the building lobby. Both art and architecture create color, movement, and joy from a grid of bright colors and repeating blocks. TOKY’s logo honors those two important precedents with a typographic puzzle that resolves into the university’s acronym and the museum name. TOKY also designed the gallery’s exterior exhibition signage. A tour of 91 public artworks scattered across the MIT campus is united by new List-branded signage and offers both text and links to audio descriptions of each work. Design for the List’s new website is underway, with launch scheduled for Spring, 2014. We’ll keep you informed as it gets closer!